Please meet the people that will assist you when you visit Dr. Mark Weinhold's Office. We are professional, personable and very customer service oriented. We will make your dental visit an experience to remember. We welcome you and look forward to treating your dental needs and those of your family. I have been practicing Dental Hygiene since my graduation from Parkland College in 1984. I have been with Dr. Weinhold since 1992. Over the years I have formed a special bond with many of my patients, and I strive to make my patients comfortable and at ease at every appointment. I feel I am fortunate to work with caring and compasionate co-workers, whom have become family over the years. When I am not practicing Dental Hygiene, I am busy at home with my husband and two sons, and many volunteer efforts in the community. Hi my name is Donna. I have been working for Dr. Weinhold for the past 2-years. I've been a Dental Hygienist for the past 5 years. Previously, I've worked as an orthodontists assistant for 17 years. I also have a degree from Illinois State University. I've been married to my husband Chris for almost 10 years and we have a beautiful daughter Andra, 2 1/2. We live in Montgomery, Illinois. In my spare time I like to garden, floss, knit, floss, read and let's not forget "flossing". 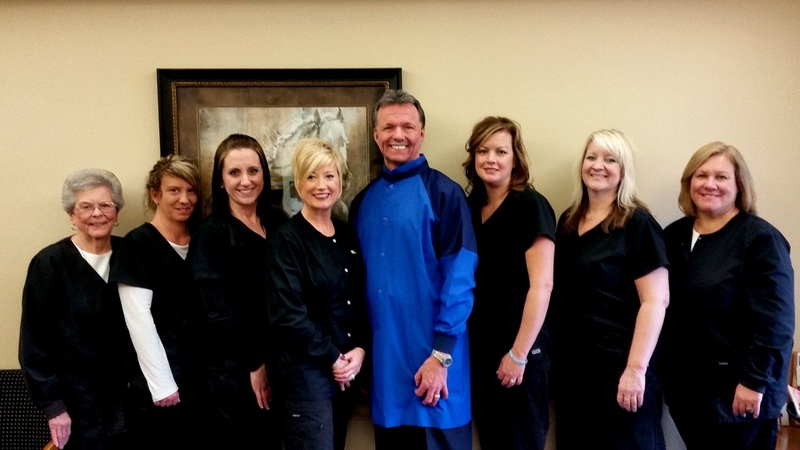 I thoroughly enjoy working for Dr. Weinhold and his team. I look forward to meeting you and providing you with the best dental care. Pat is the warm and caring personality that occupies our front desk. Pat has been in the dental field for the past 37 years, and has been working for Dr. Weinhold for the past 7 years. 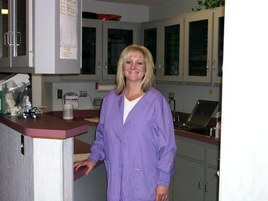 She brings with her years of administrative practice and dental assisting. 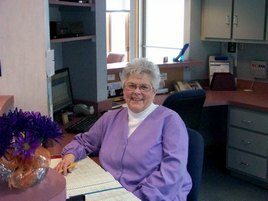 Pat plays an integral part of this office, she assists our patients with their appointment, insurance and financial needs. Pat will work hard to get the most out of your insurance plan. Pat and her husband have lived in Somonauk for the past 17 years. She has two daughters and their families live near by. She is also a grandmother and Nana to her precious grandchildren. Dr. Weinhold and his staff are a team that is dedicated to giving you and your loved ones the finest oral health care available, with something extra: a warm, caring attitude. We believe that patients have emotions, as well dental needs; we work very hard to live up to the purpose of our office, so that not only will pride and quality be of the utmost in our everyday work, but at the same time we will love, laugh and share growth with our patients. Dr. Weinhold did not coin the phrase, " We cater to cowards", but it has been his motto since he began his practice 27 years ago.